A term of office for four years and renewable, the election of five members of the ITTF Athletes’ Commission will be held at the forthcoming Liebherr 2018 World Championships in Halmstad, play commencing on Sunday 29th April. Currently chaired by Vladimir Samsonov of Belarus, the concept was first formulated over two decades ago by the late Ichiro Ogimura when President of the International Tennis Federation; the aim being to give players the opportunity to air their views. Overall the Commission comprises 11 members; in addition to the elections held in Halmstad, one further member will be elected at the World Para Championships to be held later in the year in Lasko, Slovenia. 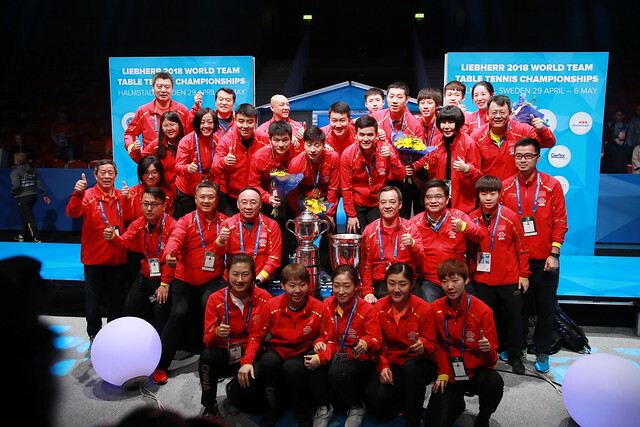 The remaining five places are formed by three players nominated by the ITTF Executive Committee and a further two by the Athletes Commission, one major reason being in order to ensure both gender and geographical distribution. Additionally, should there be a table tennis representative on the IOC Athletes Commission; that person is automatically a member of ITTF Athletes’ Commission; such is the situation with Korea’s Ryu Seungmin. Deadline for nominations is Wednesday 28th March; all nominations must be made through the athlete’s national association and signed by the appropriate officials. On or before Sunday 15th April, the list of candidates will be announced. At the Liebherr 2018 World Team Championships, ballot boxes will be open for a period of six hours on Sunday 29th and Monday 30th April, as well as on Wednesday 2nd May. In total the ITTF Athletes Commission meets annually at either the World Championships or at the World Team Championships.